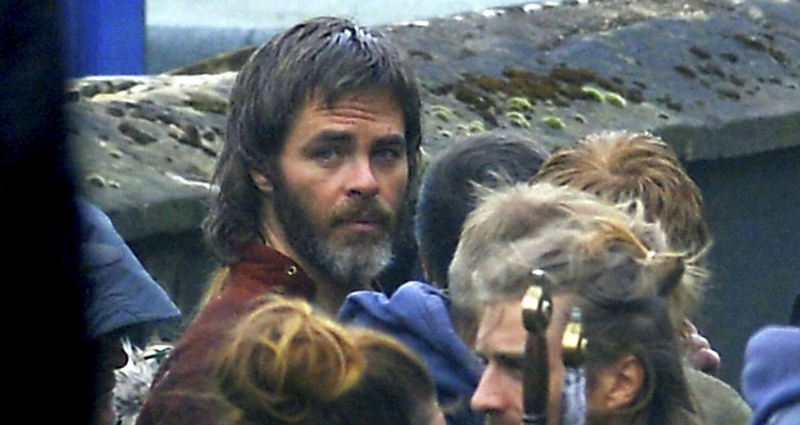 Chris, who is playing legendary Scottish king Robert The Bruce, was seen filming scenes of the Outlaw King outside Glasgow Cathedral yesterday. 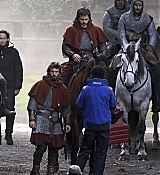 The area has been turned into a 14th century battle ground by the film crew, who brought medieval armour and horses to the 800-year-old building as they shot the scenes on Tuesday evening. 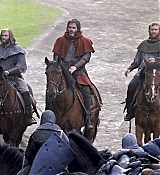 Filming has also taken place near Linlithgow, West Lothian, and is expected to continue at various locations across Scotland until November. 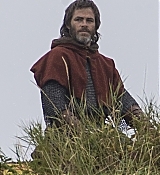 Netflix has released a first look photo of Chris Pine as Robert the Bruce in the upcoming period drama Outlaw King, as principal photography gets underway in the UK. 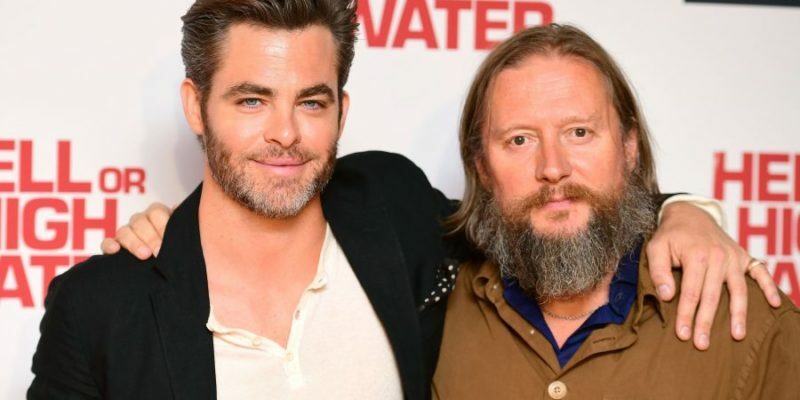 With Tony Curran (Sons of Anarchy) and Stephen Dillane (Game of Thrones) now among the cast, the film reunites director David Mackenzie with Pine following the Academy Award nominated Hell or High Water. Also starring are Aaron Taylor-Johnson, Florence Pugh, and Billy Howle. 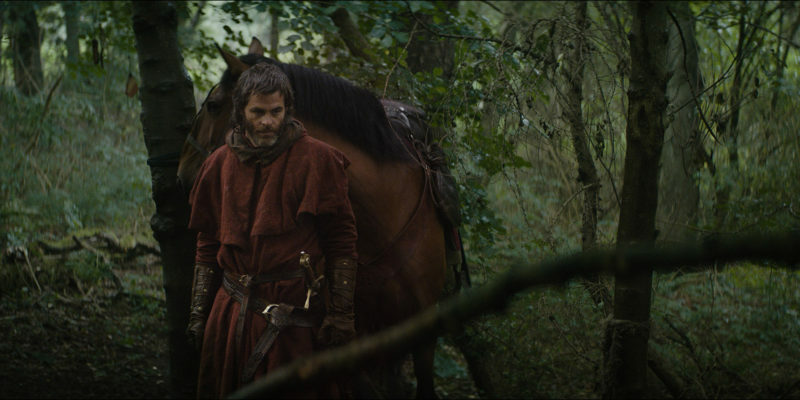 The feature film is produced by David Mackenzie and Gillian Berrie via their production company Sigma Films, and Richard Brown and Steve Golin of Anonymous Content. 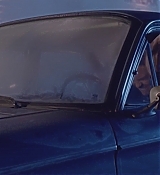 The screenplay was written by Mackenzie, Bash Doran, James MacInnes, Mark Bomback and Scottish playwright David Harrower. 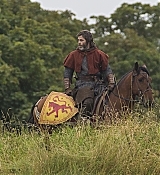 The action takes place over the extraordinary historic year when Robert the Bruce fights to regain control after being crowned King of Scots, only to be defeated in a surprise attack and made an outlaw by the English King and his occupying forces. 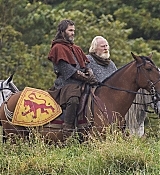 Supported by Creative Scotland, shooting will take place in historical locations in Scotland including the last known resting place of the legendary Scottish king’s remains. The film is slated for release in 2018. 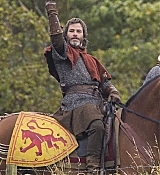 Filming of Outlaw King its in full force on Linlithgow Palace, Scotland, and here’s the first look of Chris as Robert the Bruce! 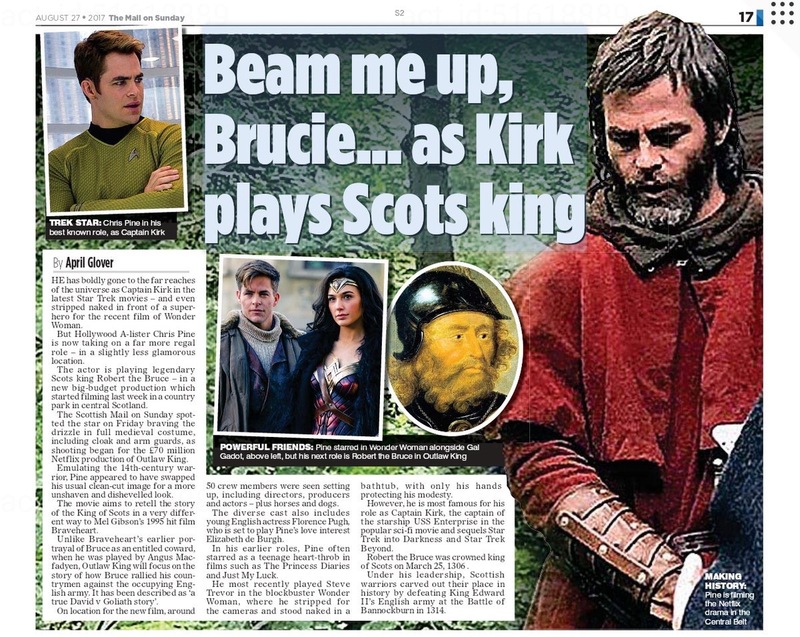 The picture was published on The Scottish Mail and thanks to TrekkieKindTrekker on twitter, we have now the scan added. We hope more pictures surface soon! 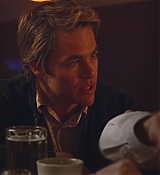 Chris Pine was spot in Glasgow earlier today, at the Heathrow Airport, accordingly to some twitter users. 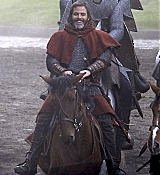 It seems the Outlaw King principal photography is about to start. A few days ago the website Daily Records published that the movie are planning to shoot scenes in the Stirling area, in the next month. Loudoun Productions Ltd have applying for permission to set up at Mugdock Country Park for a period of ten weeks starting next month. The firm plan to create a film set at two locations within the park, which is south east of Strathblane. They plan to work there from September 11 to November 17. Another site was asking for chefs assistants and kitchen porters to work on the production in Glasgow and surrounding areas, starting in August 24th – for 13 weeks. 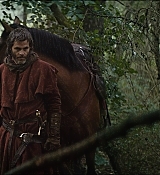 Outlaw King will tell the story of Robert The Bruce, the king who led his country to freedom from the oppressive rule of England in Scotland. 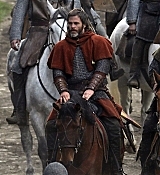 It is written and directed by David Mackenzie and will be distributed by Netflix. 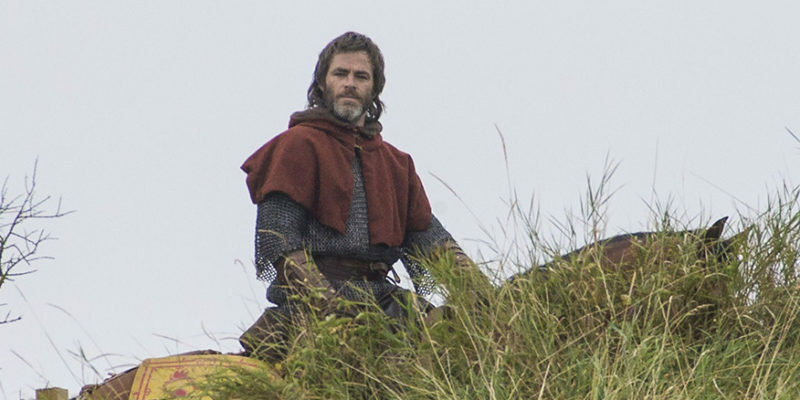 Chris Pine will play Robert The Bruce, Aaron-Taylor Johnson will play James Douglas and the female lead will be played by Florence Pugh. 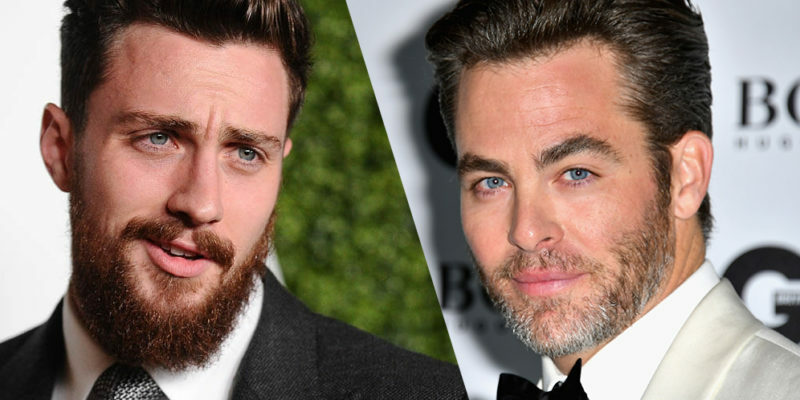 Deadline reported today that Aaron Taylor-Johnson is being set to co-star as James Douglas in Outlaw King, the David Mackenzie-directed Netflix feature that stars Chris Pine as Robert the Bruce in the War for Scottish Independence. 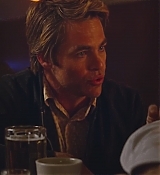 Chris joined the project back in April, teaming again with his Hell or High Water director David Mackenzie. 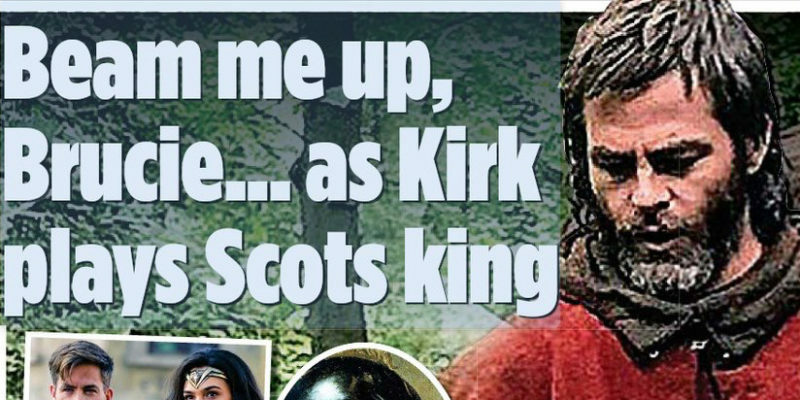 He’s set to play Robert the Bruce, the king who led his country to freedom from the oppressive rule of England in Scotland.